Without feeling exhausted or hurting your vision. Ever since I went back to my YouTube channel, I decided to read and review one book each week on my YouTube channel. So far, I have reviewed books like Thrive by Arianna Huffington, Power Of Broke by Daymond John, and The Pumpkin Plan by Mike Michalowicz (The Pumpkin Plan review was a while ago so I may read the book again and create a new video of me reviewing the book). Since I suddenly went from not reading at all to forcing myself to get through at least one book every week, I had to read these books fast. The faster I read these books, the quicker I can review them and do other things for my business. At the same time, I don’t want to rush the books. Rush the books, and then you don’t remember the insights. I was about to get started with a speed reading course and do some research about that. However, my brother pointed out that speed reading hurts your eyes big-time. He read an eye yoga book and told me that the speed reading methods make your eyes function similarly to a lazy eye. Basic summary: speed reading can hurt your vision. And since I have bad long-range vision to begin with, I don’t need that to get any worse. So this blog post won’t contain tips about skimming through pages or when to rotate your eyes to the next line of text. I will be discussing the methods that will help you speed read, but at the same time, not hurt your vision. Theoretically, you could read a 100 page book twice as fast as a 200 page book. Unless it’s ancient text because that always takes forever to read. If you read shorter books, you will get them done sooner. I like to read shorter books because they give me a lot of great information, usually cost less, and involve less of my time. A few caveats though. If there is a particular book you want to read, but it is a lengthy book, then read it. I wasn’t going to stop myself from reading Think and Grow Rich because it’s over 200 pages long. I have read many books that surpassed 200 pages. I don’t care how many pages Seth Godin’s books are. If it’s sitting on my desk, I am going to read it to completion. Well, this blog post would barely be 10 pages if that. The fact that you are reading to this point proves this blog post has been useful in some way. A blog post is not a book, but don’t think that a small page count indicates a bad book or that a book with a lot of pages must be the greatest thing since sliced bread. Some short books do a good job at summarizing the same points that lengthy books explain within hundreds of extra pages. I like to have a mixture of both types of books, but when I am reading, I almost always read the shorter books. So how do I read the longer books? I am currently experimenting with this option, but I think it has a lot of promise. The idea behind audiobooks is that you can’t read a book all of the time, so you can listen to the audio version instead. There are certain scenarios that prevent us from reading, but audio wouldn’t be a problem. I run every day, and if you have ever tried to run and read at the same time, you know it’s a disaster. However, what about running and listening to a book at the same time? People listen to music all of the time while they run. Why can’t I listen to a book every once in a while? Say what you may about the audiobook audio speed. First off, if you think the audiobook is too slow, there are ways to enhance the speed. The lowest rate I have seen so far for an audiobook is 150 WPM. I run anywhere from 1-2 hours per day. When I try this out, I’ll hear anywhere from 9,000 to 18,000 words in each run. I can increase the amount of words I hear during each run by speeding up the audio rate. Not all books are available as audiobooks. That is why when you create your book list, you should look to see which books on your list have audiobook versions and which ones do not before you decide on which hardcovers to buy. I use Audible to read my audiobooks. You’ll get a free book every month just for signing up! I’m not Charles Duhigg, but I do take habits seriously. Habits will make or break you in anything that you pursue. If you want to read more books, you have to read every day. It doesn’t matter how often you read. On some days, I manage to read for over an hour. On other days, I can barely read for more than five minutes. However, I read every day, and each day adds more momentum to the last. Once you turn reading books into a daily habit, it gets much easier to read the books. According to science, it takes about 66 days for something to become a habit. That means the first 66 days are going to be the hardest, but after that, it’s all smooth sailing from there. This is the golden rule. Only choose to read the books that you would want to read. If you are forced to read a book that you don’t want to read, then you will find yourself slogging through it (unless the plot or content is really good). But why take a chance when it comes to your reading (and your time). Only read the books that you know will fascinate you right from the start. Before you buy a book, you should get an idea of whether that book will be the right one for you or not. You can do that by reading the author’s blog posts, customer reviews, and/or by reading the first few pages of the book’s free preview (assuming it’s on Amazon). Once you decide on the book you want to read next, the final decision is deciding which format you will read the book in. Reading is important because it expands your knowledge. If you get new insights from the books that you read, then you are moving closer and closer to the dreams you wish to accomplish. Before I put myself in a position where I could start calling myself a digital marketing expert, I read the books and blog posts written by the experts (experts are people who don’t have to tell you that they are experts for you to believe in their expertise). Each time I read a book or blog post, I saw myself as inching closer and closer to my own digital marketing empire. Also my singing empire. What books do you read? 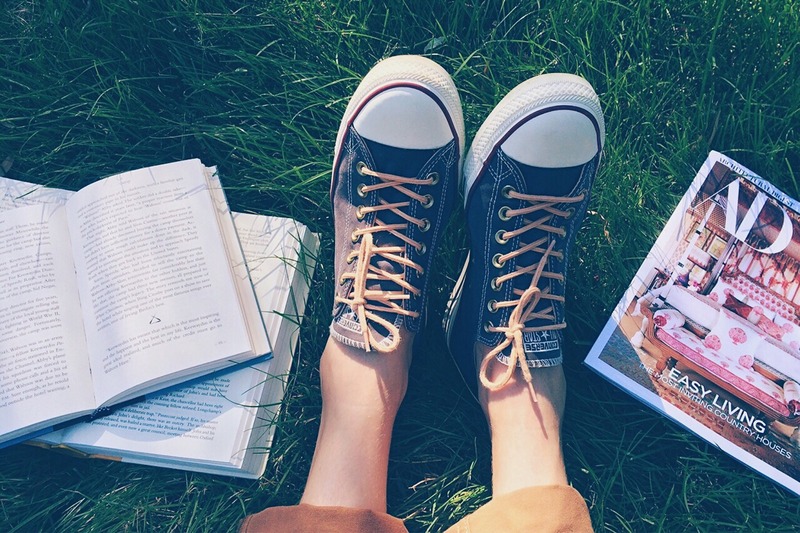 What are your reading habits? How do you read books quickly? Sound off in the comments section below. I recently got the book The 12 Week Year, and I’m almost done reading it. The first full sentence on page 3 is one of the most important sentences you will ever read. 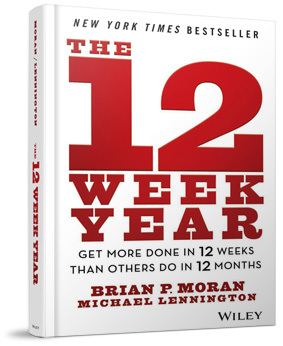 The 12 Week Year, written by Brian P. Moran and Michael Lennington isn’t a book for you to get a good kickstart for 2014. This book kickstarts you for every 12 weeks. The problem with a year is that there is no sense of urgency. If you don’t get anything done in January, there’s always the other 11 months to catch up. This mentality will take most people past March, April, May, and so on without getting anything done. The 12 Week Year creates a sense of urgency for every week . After you read this book, you’ll find it much easier to successfully execute your ideas and thrive. If you want to get more accomplished in a much shorter amount of time, The 12 Week Year is the perfect book for you. Fool’s Gold: Not everything in business is as it seems. Some methods that were working a decade ago to improve businesses don’t work now. There are also some methods you are being taught today that are inaccurate and do not apply to having a successful business. Fool’s Gold highlights the methods that work and the methods that no longer work. This book will be published by the end of June. How To Be Successful On Twitter: There are more people creating Twitter accounts everyday. However, getting thousands of quality followers takes a lot of work. This book will guide you through the process of getting thousands of followers, making money on Twitter, getting more interaction with your current followers, and other aspects of Twitter. This book will be published by the end of July. How To Become A Pro Blogger: I have been blogging for over 2 years now, and I have turned blogging into a career. I share some of the reasons that my blogs have been successful as well as the characteristics that make a successful blog. I compare three blogs that I feel stand out from the crowd. These blogs stood out from the crowd based on style, earnings, sharing, and a combination of other factors as well. All of those blogs are described in great detail in my book. There are other goodies throughout the book such as a giant list of ways to get more traffic to your blog (with explanations for each method) and various ways to monetize your blog. This book will be published by the end of August.